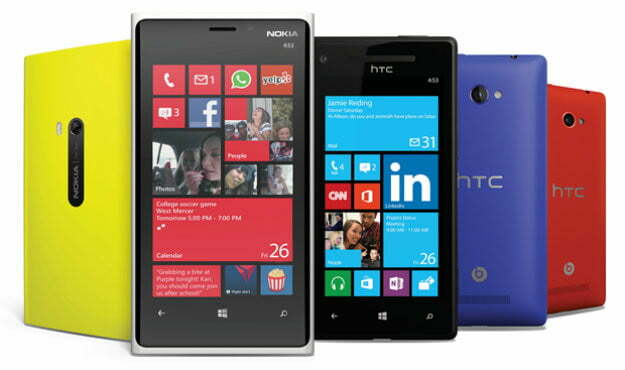 Microsoft says games will make Windows Phone 8 a winner, but what’s different? This time! This time we will actually stake our claim in the mobile market! That’s Microsoft’s message with Windows Phone 8, the next generation of its mobile operating system and entertainment ecosystem. Past efforts like 2010’s Windows Phone 7 and Microsoft’s subsequent partnership with Nokia, as well as the iPhone 1 contemporary Windows Mobile 6 and its half-step successors 6.1 and 6.5, have barely kept Microsoft alive in the smartphone market dominated by Google’s Android and Apple’s devices. When Windows Phone 8 arrives in November, says Microsoft, it will finally have a worthy platform and you can tell by the games that support it. On Monday, Microsoft hosted a debut event for its new mobile platform, promising that its digital app market will be every bit as robust as its competitors. While Microsoft’s boast of having 120,000 apps available in the Windows Phone Store may seem wan compared to the iOS App Store’s more than 700,000 apps, the company proudly claims that it will have the most popular titles on its machine. Temple Run, Disney’s Where’s My Water, Rovio earners like Angry Birds Star Wars are just some of the games backed by entertainment apps like Pandora. Zynga is also onboard with its recognizable time consumers like Draw Something and Words With Friends. Xbox Live support for games sold in the Windows Phone Store, as well as Windows Phone 8’s built-in compatibility with Xbox 360 and Windows 8 PCs will, Microsoft’s thinking goes, make the HTC, Samsung and Nokia handsets carrying the OS attractive to people who want the complete home entertainment experience. The Xbox brand and the Xbox 360 home console are feathers in Microsoft’s cap considering that Google and Apple don’t have products in that space. Development for the platform will also be easy for publishers. Microsoft claims that porting Xbox-branded games between Windows 8, Windows Phone 8, and Windows RT is simple. Microsoft has sold 70 million Xbox 360s over the past seven years, so there’s no denying the company’s power as a gaming platform holder. The Xbox name and Microsoft’s game business savvy didn’t help Windows Phone 7, though. As of August, the platform controls just 3.5 percent of the global smartphone market. If Windows Phone 8 is going to succeed where Windows Phone 7 failed as a gaming machine, it will need more than just the same games everyone else has. Bugatti SuperVeyron to debut at the Frankfurt Motor Show next fall?